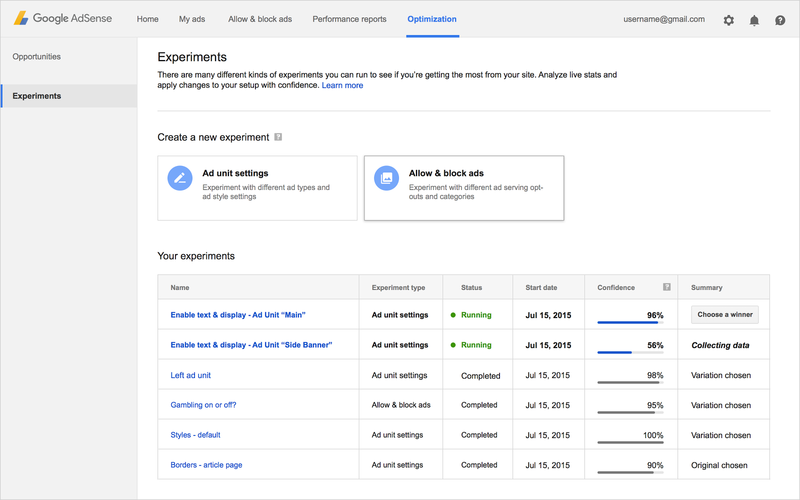 The new Optimization tab is currently in beta and available for a limited group of publishers. It will roll out to all AdSense publishers over the coming weeks. Check your account now to see if you have this exciting feature in your account! To create a great optimization experience for you, we’re planning to add more features to the new Optimization tab, including new experiment features and a host of new opportunities. We hope that this new tab will help you explore more opportunities for your site and continue to turn your passion into profit. We’d love to hear your feedback. Let us know what you think in the comments section below. 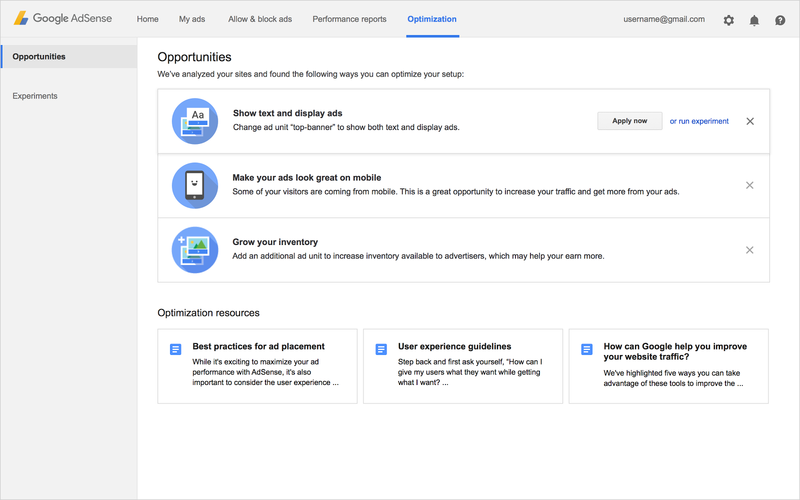 Today, we’re excited to announce the new Optimization tab, a dedicated place in your AdSense account that shows tailored tips for your site. This new tab is a one-stop shop for all the resources that could help you increase your revenue and user engagement on your site.